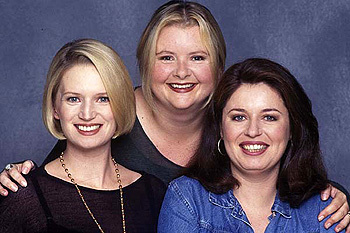 In 1994, comediennes Jane Turner, Gina Riley and Magda Szubanski joined together to produce, write, and star in a landmark sketch comedy series, Big Girls' Blouse. The series comprised a one-hour special followed by eight half hours. It was in the half-hour episodes that viewers were first introduced to the characters of Kath, Kim and Sharon. The rest, as they say, is history.